We are an arrows out people. Our mission is becoming the church among the unchurched—just as God came to dwell among us. Our vision is that every person, in every place, would experience all of Jesus–his compassion, forgiveness, power, grace, truth, love. And from an old graffiti tag on the outside of our building, we have co-opted this rally cry: ARROWS OUT! Let’s be an arrows out peopleIt requires that we think differently, live differently, and love greatly. As individuals and as a church. Will you join us in living an arrows out life? Where you live, work, study, and play? Will you be for those far from God, for the poor and sick, at risk and vulnerable, for the sojourner and lonely, those bound and stuck. God has given us each a place–where we live, work, study or play–and then he asks, "Will YOU follow ME?" To be arrows out means that every person, in YOUR every place, would experience all of Jesus through YOU! Heartland’s core values help describe who we are and what we’re about. Our hope is that they are representative of the essence of what it means to be a part of our community. Our journey began in June of 1986, when 28 people gathered together to plant a church–one dedicated to being for people who didn't do church. Or get church. Or know what they thought about God just yet. It began small, with teaching from an ironing board in a family’s basement on Sunday mornings. Through prayer, planning, invitations–and the undeniable movement of God–the church grew steadily and branched out to larger venues to welcome people who were curious. After years in Overland Park and planting six additional churches, Heartland moved to it's new home in Olathe! Want to learn more about our vision, history, or approach to church stuff? Check out the videos below. Money and the church . . . two hot button issues for folks. We want to share with you what we think about money stuff, what we see God saying about it, and perhaps answer some questions about who we are and how we do things along the way. If you are ready, CLICK HERE to Give Online. Got questions? Read on, my friend! What does Heartland believe about generosity? People arrive with their pockets guarded. And well they should. As we become like Jesus, we’ll give like Jesus. The ‘Arrows Out’ Fund–this points our many arrows out on a daily basis through our regular tithes (10%). This operating fund resources everything from Kids and Student Ministries to our adult discipling efforts. It also equips our Sunday services, Care & Counseling, our many missional expressions, special events, staff salaries, leadership training, and–yep, you guessed it–the free coffee. The Jump Fund–this is a designated fund that gives us a jump in special identified projects related to facility, debt reduction, & missions. Most HCC’ers give to this fund “above and beyond” their regular tithes. The Compassion Fund–this fund provides practical and timely assistance in a time of crisis to those in our community. Does Heartland practice financial integrity? In a phrase, painstakingly so. 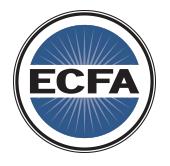 We are an accredited member of the Evangelical Council for Financial Accountability, a national non-profit accreditation agency with the highest standards of financial integrity and accountability. We are one of just three churches in the Kansas City area to achieve and maintain this level of accreditation. Not to bore you, but it requires an intense process that includes a HCC Audit Review Team, an annual audit by an independent firm, and the ultimate oversight of our Board of Directors. What principles are used in setting salaries? All salary ranges are set by our volunteer Board of Directors, who use benchmarked standards as listed by the National Association of Church Business Administrators (think the Kelly Blue Book, but for church). Specific staff salaries are then determined by the Management Team who applies those ranges to a staff member’s particular performance and experience. Management Team salaries are set by the Lead Pastor and the compensation for the Lead Pastor is proposed separately by the Advisory team. All salaries are approved by the Board of Directors. Do you offer online giving? Heartland does offer automated online giving (ACH) and it is the best thing ever! It’s the most convenient way to give, it maximizes your gift by reducing transaction fees, it ensures your consistent faithfulness, and it helps to bring financial stability and freedom to your church! Questions? CLICK HERE to email Patty Johnson. Can I get a copy of the annual budget? Of course. You are welcome to request copies of our annual budget summary or ask any further questions. CLICK HERE to email Steve Fisher, Director of Operations. We are an accredited member of the Evangelical Council for Financial Accountability, a national non-profit accreditation agency with the highest standards of financial integrity and accountability. We are one of just three churches in the Kansas City area to achieve and maintain this level of accreditation. Not to bore you, but it requires an intense process that includes an annual audit by an independent firm, the HCC Audit Review Team and ultimate oversight by our volunteer Board of Directors. Note: These essential beliefs are drawn from–and set forth in greater detail in–the Westminster Confession of Faith. Jesus Christ, the living word, become flesh through his miraculous conception by the Holy Spirit and his virgin birth. He who is true God became true man united in one person forever. He died on the cross a sacrifice for our sins according to the scriptures. On the third day he arose bodily from the dead, ascended into heaven, where, at the right hand of the majesty on high, he now is our high priest and mediator.